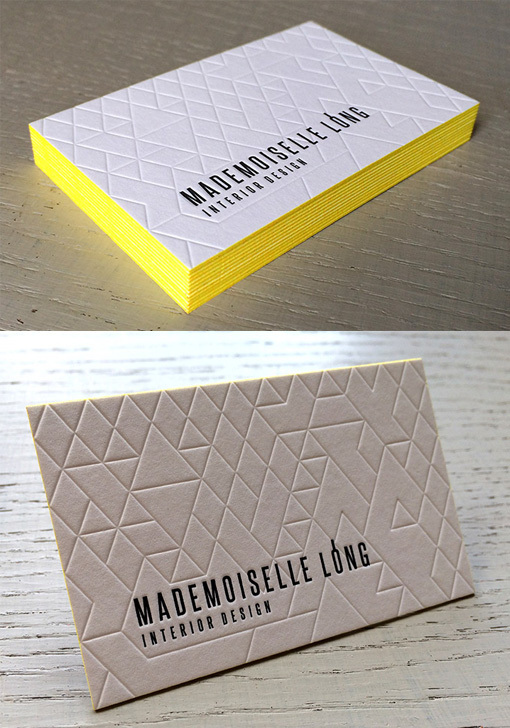 This business card uses a geometric line texture as a feature on the front of the card to add interest and dimension. The texture has been created by deeply pressing the design into the card stock using a letterpress printing plate which has no ink on the plate. The text has been printed separately with less pressure so that it is not press as far into the paper. This creates different levels of texture on the card. The cards have been finished with a bright yellow edge painting which adds colour without detracting from the main design.